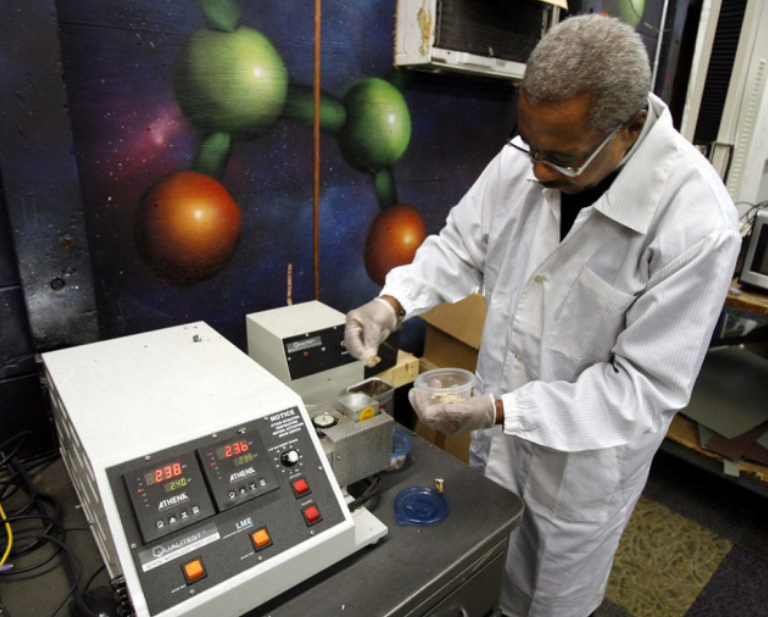 Recycle NESCAFÉ® capsules through this program. 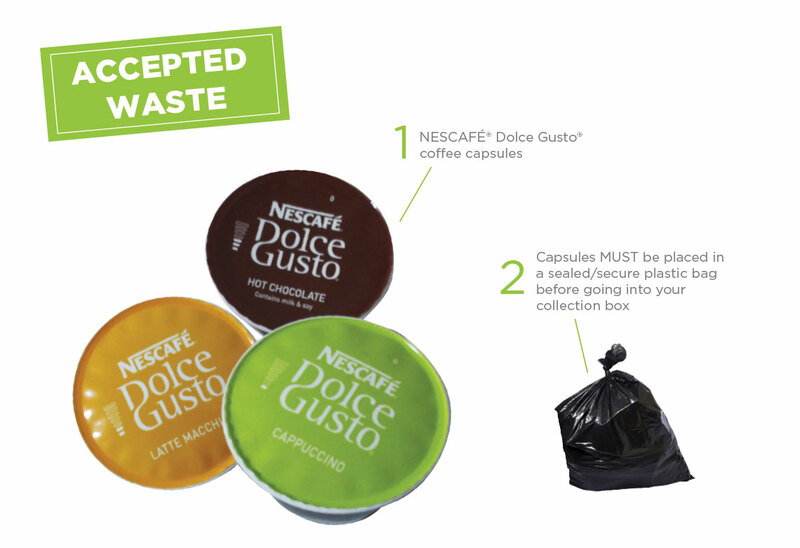 NESCAFÉ® Dolce Gusto® has joined with TerraCycle to help provide a second life for used NESCAFÉ® Dolce Gusto® capsules. IMPORTANT NOTICE: The minimum shipment weight required to earn TerraCycle points has been increased to 7kg. By encouraging larger shipments through this program, we can help create an even smaller environmental footprint. We also encourage businesses and large collectors to consider sending 15-20kg at a time when possible, to maximise efficiency. Click on the map above to find your nearest public drop-off location. There is a growing network of public drop-off locations all around Australia giving everyone the opportunity to drop off their waste for recycling. If your location would like to be considered to become one of our public drop-off points, you must fill in the Drop-off Application Form to begin the application process. One of the team will contact you should your application be successful. When you are ready to send in a shipment, download a shipping label from your TerraCycle account by clicking “Ship us your waste” and follow the prompts. Print out your label and tape it securely onto your box. Ship the box to TerraCycle by dropping it off at your nearby post office. In order to recycle this waste stream properly, please make sure your coffee capsules are sealed in a plastic bag or dry before placing them in your collection box. Additionally, if you choose to rinse your product, please note that it must be completely dry prior to shipping. You cannot ship dripping packages. Once collected, the NESCAFÉ® Dolce Gusto® capsules are cleaned and melted into hard plastic that can be remolded to make new recycled products. For each shipment over 7 kilograms, your location will earn 2 points or $0.02 per capsule for the non-profit organisation including school or charity of your choice. To learn more about our points program, click here. NESCAFÉ® Dolce Gusto® is the modern art of coffee. NESCAFÉ® Dolce Gusto® capsules are recyclable: join the NESCAFÉ® Dolce Gusto® Capsule Recycling Program today and start raising money for a good cause. TerraCycle is excited to partner with NESCAFÉ® Dolce Gusto® to bring a national recycling solution for NESCAFÉ® Dolce Gusto® capsules to Australia. To learn more about NESCAFÉ® Dolce Gusto®, click here.